We’ve launched a new range of managed dedicated servers this week with upgraded specifications and SSD drive options across the range. With the growth of our Cloud server offerings it has caused some confusion as to whether a Cloud or Dedicated solution is better suited. We look at all enquiries on a case by case basis in order to make a recommendation but in general, for servers under 8-16 GB RAM, a Cloud server is often a better choice. For servers requiring at least 16 GB RAM and/or larger storage requirements our dedicated servers become an option worth looking at. On our dedicated server line we only provide fully managed servers so for those requiring an unmanaged server, our Cloud platform remains the only choice. All managed dedicated servers are housed in the Centro facility where we have had servers for over a decade. 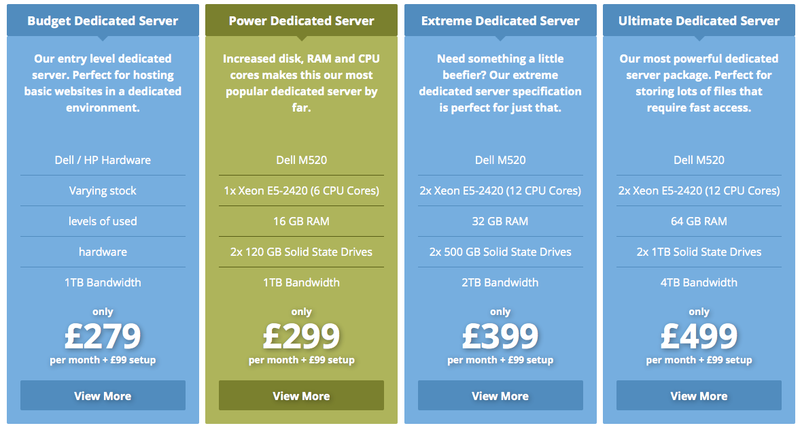 Check out the details of the new server specifications on our managed dedicated server page.